In this article, we are updating research and clinical observations in the use of Platelet Rich Plasma Therapy (PRP) for the treatment of knee osteoarthritis. We will also explain why PRP may not work and how getting a single PRP injection is NOT PRP Therapy and will usually lead to unsatisfying long-term results. You went your your orthopedist. He or she may have made a curious recommendation to you. Platelet Rich Plasma Therapy injection. You ask, what is that? It is then explained that your blood is going to be used to try to repair and regenerate your knee damage. You then learn that there are healing platelets in the blood that when concentrated and injected back into your knee may be of great benefit. Your orthopedist may also describe this as a single one-time injection. As you will see in our videos below, PRP treatment in our office is not offered as a single one-time injection. The treatment is very comprehensive. Below are many citations and references showing the effectiveness of PRP. Here we cite one study as an introduction. Part of that evidence is a study published in the American medical journal Arthroscopy. Here medical university researchers in China suggested that PRP injections were more effective in the treatment of knee osteoarthritis, in terms of pain relief and self-reported function improvement at three, six, and twelve months follow-up, compared with other injections. This research is among a large number of studies offering convincing evidence that PRP helps patients with knee injuries and knee instability. We will cover many of these studies below. Below are many citations and references showing the when PRP is not effective. Typically these studies discuss variation in treatment. How one clinic offers PRP treatment may not be the same as how another clinic offers it. Here we cite one study as an introduction. Traditionally, treatment options (for aging and obese patients with osteoarthritis) have included lifestyle modifications, pain management, and corticosteroid injections, with joint replacement reserved for those who have exhausted nonsurgical measures. More recently, hyaluronic acid, micronized dehydrated human amniotic/chorionic membrane tissue, and platelet-rich plasma (PRP) injections have started to gain traction. PRP has been shown to have both anti-inflammatory effects through (human) growth factors and stimulatory effects on mesenchymal stem cells and fibroblasts (the stuff that helps make collagen/cartilage). Multiple studies have indicated that PRP is superior to hyaluronic acid and corticosteroids in terms of improving patient-reported pain and functionality scores. Unfortunately, there are many variations in PRP preparation, and lack of standardization in factors, such as speed and duration of centrifugation, leads to wide ranges of platelet and leukocyte (simply white cells of the immune system) concentrations. Simply put, PRP can be offered different ways by different practitioners. We will discuss this further later in this article. In the present study, the researchers wrote: PRP modulates the repair and regeneration of damaged articular cartilage in the joints and delays the degeneration of cartilage by stimulation of mesenchymal stem cell migration, proliferation, and differentiation into articular chondrocytes (the cells of cartilage). What this last sentence means is that stem cells in the knees, responsible for repair on many levels, migrate because PRP called them to the site of the injury, proliferate – make more of themselves, differentiate – change themselves into cartilage. In addition, PRP reduces the pain by decreasing inflammation of the synovial membrane where pain receptors are localized. Synovial membrane is a protective layer of connective tissue that is also responsible for creating synovial fluid that lubricates the joints. In the medical journal Arthroscopy, the Journal of Arthroscopic and Related Surgery, research sought to answer Does Intra-articular Platelet-Rich Plasma Injection Provide Clinically Superior Outcomes Compared With Other Therapies in the Treatment of Knee Osteoarthritis? In the accompanying editorial James H. Lubowitz, MD writes, “(the authors) pose a controversial question and ultimately conclude that platelet-rich plasma (PRP) is a valuable treatment for knee osteoarthritis. Is PRP a better knee lubricant than hyaluronic acid? Prior to a PRP recommendation your provider may have discussed, suggested or injected hyaluronic acid. This injection treatment adds a lubricant into the knee to help cushion and protect the joint from further damage. Some of you may recognize these brand names for this treatment: Provisc, Orthovisc, Euflexxa, GenVisc, Hyalgan, Healon, Amvisc Plus, et al. In other words, PRP is acting like hyaluronic acid, except it is healing and regenerating the knee which hyaluronic acid is not designed to do – please see that article where we also discuss the combined use of hyaluronic acid and PRP for knee osteoarthritis. PRP, hyaluronic acid and placebo. Is PRP a better anti-inflammatory than Cortisone? In this study, a comparison is made between the effects of a one-time injection of PRP and corticosteroid (cortisone shot) for the patients suffering from osteoarthritis. Patients suffering from Grade II or Grade III knee osteoarthritis were randomly divided into two groups: intra articular injection of PRP and cortisone. Forty-one participants (48 knees) were involved in the research (66.7% women with and average age of 61). This study demonstrated that one shot of PRP injection, decreased joint pain more and longer-term, alleviated the symptoms, and enhanced the activity of daily living and quality of life in short-term duration in comparison with corticosteroid.(10). We will discuss the one injection dilemma below. A 2017 study in the American Journal of Sports Medicine lead by Brandon Cole MD of Rush University Medical Center found PRP was involved in decreasing 2 proinflammatory cytokines, which suggest that the anti-inflammatory properties of PRP may contribute to an improvement of symptoms. (11) The difference of course is that you can offer more than one PRP injection or combine it with comprehensive Prolotherapy for knee osteoarthritis to gain better results. Typically a doctor will not recommend multiple corticosteroid injection because of the negative effects. How does PRP compare to Ozone Therapy? In research from February 2017, Turkish researchers publishing in the medical journal Knee surgery, sports traumatology, arthroscopy compared treatment effectiveness in patients with knee osteoarthritis given an intra-articular injection of platelet-rich plasma, hyaluronic acid or ozone gas. and Group 3 (Ozone group) received ozone × four doses. At the end of the 1st month after injection, significant improvements were seen in all groups. In the 3rd month, the improvements were similar in platelet-rich plasma group and hyaluronic acid group , while those in Ozone group were lower. With all this great research, how come PRP did not work for me? Often will get emails from people who have had previous PRP treatment. They will tell us that they did not have the success they were hoping for and had been anticipating. The treatment had failed them. PRP injection was recommended after MRI showed degenerative condition. After examining the image, the doctor then determined where to give the shot. On follow up some improvement. As weeks progressed, treatment ineffective. The pitfalls of basing success of treatment on a single injection of Platelet Rich Plasma Therapy are many. Some physicians may use PRP as a single dose treatment rather than as part of a comprehensive knee osteoarthritis treatment program. Used this way, as single dose, PRP may not be as effective. As mentioned, the typical person reporting this treatment to us will still report that they had good success initially but then the effect began to wear off. The biological changes that commonly cause degenerative articular cartilage injuries in the knee are primarily associated to misalignment of the joint and metabolic changes related to age, as occurs in osteoarthritis. When PRP is injected at a single location within the damaged knee, it goes right to work to patch and fix the damage. BUT PRP CANNOT sustain this fix if the same elements that caused the degenerative knee condition are allowed to damage the newly healed tissue. If this person were to come into our office, we would explain that single shot PRP may only be a temporary heal because it did not address what was causing the damage, knee instability. You recognize instability as a loose, wobbly knee that feels like it could give way even when you are standing still. One shot of PRP can patch a cartilage, it cannot stabilize the entire knee. Dr. Hauser explains this in detail in this short video. When treating the knee, our medical team utilizes a Comprehensive Prolotherapy injection technique which may include a combination of healing factors. PRP is commonly used in conjunction with Dextrose Prolotherapy and Stem Cell Therapy. If stem cells are used, they would be drawn from the patient and then re-injected into the knee to stimulate tissue regrowth, such as in instances of knee osteoarthritis. This is to ensure that a more thorough treatment is given to the weakened area, versus a one-shot PRP approach. In this brief video, Dr. Hauser demonstrates PRP to the supportive ligaments of the knee. PRP injections have the blood red color. He is also demonstrating Prolotherapy injections to support the PRP injections. The Prolotherapy injections are clear in color. Number of PRP injections needed how long is recovery? Frequently patients will ask: What is the healing or recovery time with PRP? The research mentioned above on the need to standardize how the PRP treatment shows that patients do get relief. But what kind of relief? Is symptom relief similar to what a cortisone injection gives, or is it pain relief because healing has occurred? 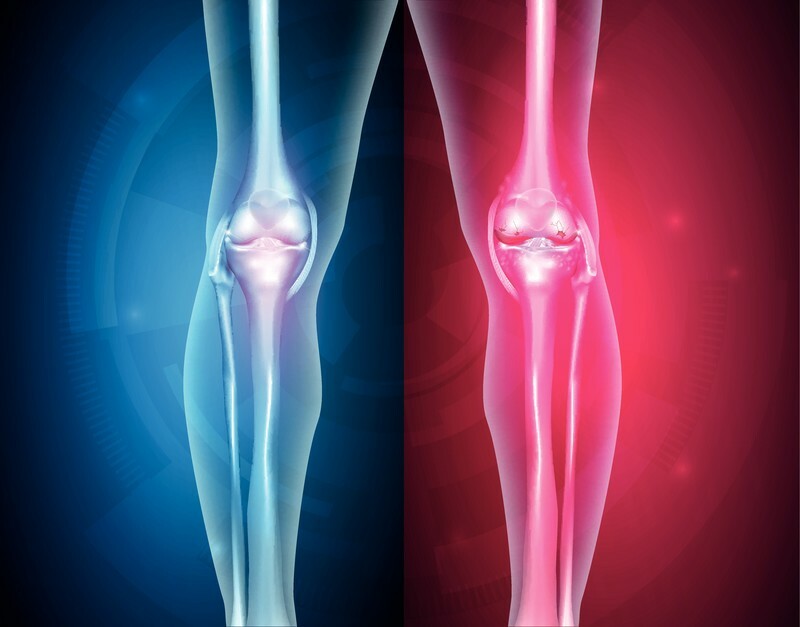 Researchers looked at 78 patients with bilateral knee osteoarthritis. The patients were then divided randomly into three groups. Group A (52 knees) received a single injection of PRP. Group B (50 knees) received 2 injections of PRP 3 weeks apart. Group C (46 knees) received a single injection of normal saline. The three groups were compared with each other and no improvement was noted in group C as compared with groups A and B. The next part is interesting: there was no difference between groups A (Single one-time injection) and B (Single injection – two times three weeks apart), which means that a single dose of PRP is as effective as two injections to alleviate symptoms in early knee osteoarthritis. The results, however, deteriorate after six months. Both groups treated with PRP had better results than did the group injected with saline only. How about three injections 2 weeks apart, is that better? Doctors in Turkey publishing in the Journal of physical therapy science, assessed PRP applications in a group of patients in their mid-50’s. Three groups were selected for PRP injections. Group 3 received three injections of PRP at 2-weeks intervals. Yes. Doctors are confirming the more PRP injections the better the result. This is why we give the injection at more than one location in one treatment. Where is the prolo-therapy provider that is closest to North Dakota that utilizes the enriched injections ? This is a wonderful article. I recently had shoulder surgery and need a left knee replacement. My right knee is arthritic plus need a 6th foot surgery. I need pain management until my knee replacement and I plan on getting my referral changed to your office in hopes I’ll be a candidate for PRP in my right knee. Hope to see you soon. Since Platelet Rich Plasma Therapy Injections work so well when are insurance companies coming on board. Without insurance I can’t afford the injections.